JKLOL is creating chiptune music. Welcome to the JKLOL Patreon! If you came here to become a patron, then you are the coolest person ever. However, if you've come to browse and check me out, then let me tell you a few things about myself. I am JKLOL.exe. I make music derived from old nes sounds in order to bring you awesome music! I have made songs that have been featured CHIPTUNES=WIN (I'm the guy who made the F**K Glenn Dubois song ). I enjoy making music for you guys, but I don't get a lot in order to pay the bills so I can keep myself afloat. Hence why I came to Patreon, as I've seen many creators succeed. Below are the tantalizing tiers that I hope will help you decide whether or not you would like help me out, like joining in skype sessions with me during livestreams, and getting free merch! Thanks for helping me out in advance! You'll be able to view my progress via the Patreon feed, keeping you up to date with what's going on with upcoming songs and covers that will be released on Soundcloud/Bandcamp! 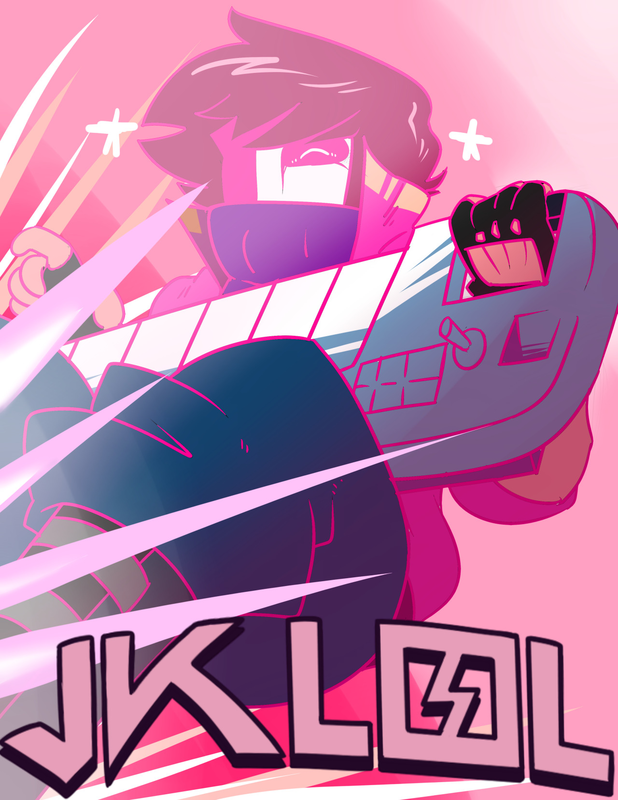 You get shipped a JKLOL poster, drawn by JakkMAU5art on tumblr, to hang up on that bare spot on the wall that keeps you up at night wishing you had something epic that would make the room shine bright with bubblegum 8 bit happiness! You will also be getting other merch, like T-shirts, stickers, and pins as soon as they're made! Receive OMNIBUS, an album containing ALL the work I have to date (including albums for games I've worked on entirely), plus you get new albums I release free, sent to you via email. Get OMNIBUS ( optional choice of hard copy w/signature), JKLOL merch, and all new albums free! This is the gold tier, meaning you get practically everything I have to offer free! $100 (for me) alone will be enough to pay for one month of rent, since I don't live alone.